We are leading manufacturer and exporter of magnesium oxide. We are involved in offering magnesium oxide , a white solid mineral which is the most cost effective grade. This is a magnesium source that naturally occurs as periclase. It finds application in food, feed, paint, ceramic and other such industries. The chemical has the appearance of white powder. It is packed properly to avoid any kind of damage and reaction. We offer them as per the industrial standards. 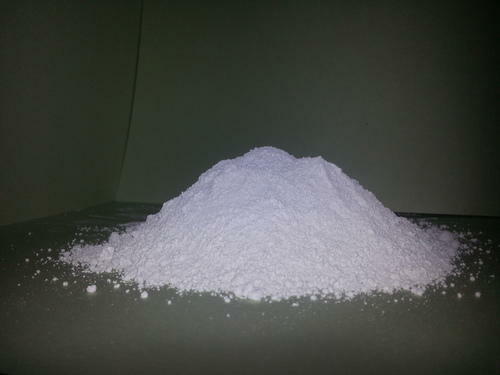 We are a renowned provider of magnesium oxide, which is highly appreciated by the clients in the market. It is availablein white and yellowish color and used in ferrous powder. The chemical is used to make partition board, glazed tile, magnesium oxide board, fire proofing board, grinding wheel, griding stone, grinding mill, fire brick and more such products. It finds application in agricultural, chemical, environmental and construction industries .